What happens when we pull difficult cards? By difficult, I mean cards with uncomfortable scenarios or challenging themes. Cards that inspire dis-ease. Responses to difficult cards will vary. The habit for challenging themes is to judge the card as bad. We brace ourselves to defend, avoid, or fix. The breath catches or we gasp. Our hearts sink. We feel the expanse of our lungs shriveling as we forget to breath. We wonder how we can alleviate this feeling and reassure ourselves. We turn our attention to safety, to actions or beliefs that defend against uncertainty and discomfort. We look for a way out. Kneejerk Response: The first response may be imperceptible. We may respond in the time it takes light to reach optic nerves, well before we have a thought about a symbol. We may have beliefs that drive our responses before we even lay eyes on a card. Synthesis: Next we interpret or recall the meaning for the card – keywords, themes. When we synthesize, we make meaning. We do this using anything from intuitive responses to rote memorization. At this stage we’re using what we know to put words to the initial reaction. When receiving readings, depending on the style of the tarot reader, we may accept their meanings without question or we may collaborate. Conclusion: Finally we decide what to do next. Even if we choose inaction or despair and even if that feels out of our control, they are still choices. Sometimes the choice is unconscious. This gets back to the name of this series – Light and Shadow – that which is illuminated and that which is hidden; that which is kneejerk and that which we choose. Two natural parts of a whole. How do we escape the cycle of automatic response? The kind that can lead to powerlessness and despair?! Being human means we will respond to stimulus, have thoughts about the response, and draw conclusions in an attempt to preserve ourselves. However, with practice we can take ownership of this cycle and go through it with an ever increasing awareness; until the choice becomes conscious; until we become comfortable with how much choice we have; until we feel confident drawing new conclusions and taking conscious action. Even the most harrowing of tarot images is just stimulus. We perceive the art, we react, and respond unconsciously or consciously. We process. We tell our stories about the images. Whatever we think we believe about ourselves or our lives – our reaction to stressors, challenges, and difficulties tells us the truth. This means that every difficult card is an opportunity to see the truth about ourselves and our life and be transformed. What if our experience with difficult cards was more nuanced than our initial reaction? This series offers ways to integrate the difficult cards as fully as we integrate the rest of the cards. An approach where we cultivate awareness of our keywords, habits, and reactions. So that we may cultivate new habits and reinforce that there can be action without avoidance, fear, or defensiveness. It comes down to the question: what do you want to teach or reinforce when you engage the tarot? being struck by the thunderbolt of awakening. You might wonder when we would EVER welcome energy like this? It’s terrifying. It’s a process that leaves us bare. It takes our skin, our shelters, the ones we’ve carefully built over the years. Some of us, with the help and influence of ancestors – generations of behavior and beliefs. When do we ever want to be destroyed? When we need out of situations that hurt us or are unsafe. Relationships that erode the sense of self. Jobs that squash our hearts. Attachment to objects that will be meaningless when we pass on. Attachments to beliefs that don’t serve us anymore. False identities. When we need a revolution. It can feel comforting to stay put, small, separate from everyone, and safe from vulnerability. This comfort is the illusion that the Tower destroys. Destruction is a fitting beginning to a series about re-framing difficult cards. This is the energy needed to dissolve outdated modes of thinking and make space for transformation and rebirth. The energy of the Tower is life and death energy, that which is created (like the tower) and destroyed (like illusions of permanence). Speech is associated with this card’s energy. According to the most traditional interpretations, this is card is Peh, as in the Hebrew letter for mouth or speech. IE: “And God said___, and there was ___.” This reminds me of a shamanic lesson that it took me a while to fully understand. “Be impeccable with your word.” As in, your word is the creator and destroyer of worlds. As in, the words you say out loud and the words in your head. When I see the Tower I see beliefs, intricate thought structures whose purpose is to defend or give the appearance of safety. To use the energy of the Tower is to become aware of these structures and use them with increasing levels of consciousness. And when they don’t serve to be gentle with ourselves as we let go. Before The Tower – What structures are already in place? Ask yourself what you believe the tarot do and how you intend to use the cards. Do you focus on the future? 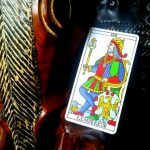 Does your tarot reader? You may have strong ties to the past. Perhaps you believe that purpose can be determined by ancestors, lineage, or even past life experience? Does your tarot reader share this belief? Perhaps you focus on what is possible or available now and choices related to now. Does your tarot reader use their cards in a way that prioritizes the present? We have wildly different beliefs about time, its importance, and its prioritization and yet we pay little if any attention to it. 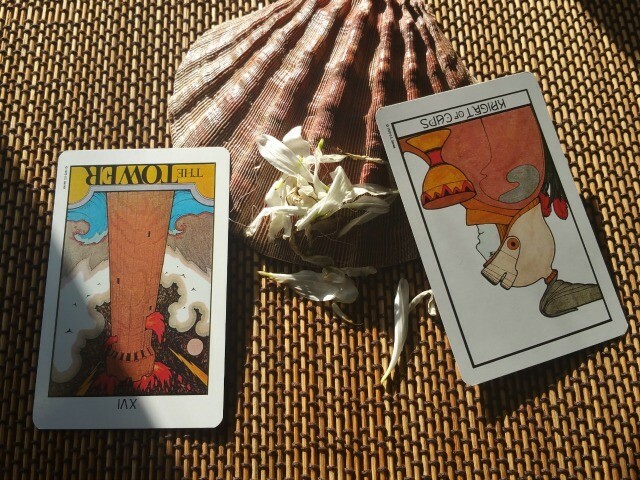 Most use the cards to know what might happen or what has happened or some combination of the two. It’s less common to explore what IS happening or to go outside the bounds of the temporal and explore what is possible. I focus on time because it is often taken for granted in everyday life even though it is just a construct, and it’s often overlooked in tarot even though it is central to most divination. There are other important beliefs to consider. Some people believe that it’s appropriate to hold a person responsible for anything they experience no matter their role. “You create your reality.” Others believe that some things happen for no good reason and it’s appropriate to simply allow space for experience. Of particular interest are the use of shame and blame in a reading. We are not always conscious of the way we shame or blame ourselves and others but even if unintentional, it has an effect. It’s up to you to decide if these things serve a purpose in your life and in your readings especially when you read for others. During The Tower – What might we shift? Kneejerk Response – What is your first response? Whatever your first response – raw, victim-y, terrified, yuck – honor it! It’s you, you know. As long as it’s authentic and it’s not the reaction you thought you should have. Celebrate that you have a truth. Do that by giving your truth form. Form a whole sentence, complete with what happened, your thoughts, your emotions, and anything you notice that you need. I’m stealing my concept of “wholeness” from Nonviolent Communication btw. (It’s amazing!) This takes practice. At first the brain wants to think everything and you say things like I feel “good”. Is good an emotion like happy? Or a judgement, like a thought? When you practice telling the whole truth to yourself you start accidentally living it everywhere. Own it. Who else will? And if your kneejerk response doesn’t match up with your intentions, you have a starting point for what to keep noticing. Conscious Response – What interpretation aligns with your intentions? You get to decide your own story. Luckily in this day and age, information is vast and easily accessible. You can acquire or access the most traditional and esoteric texts and use them as a guide. Or you can find someone with an Alternative Approach to Tarot and decide if it serves your intentions. When you pick any source whether a book, ecourse, site, tarot reader, remember to ask: what does this person believe? About time? Trauma? Gender? Mental Health? Responsibility? Shame? Possibility? These beliefs will determine their stories on both conscious and unconscious levels. This is especially important with traditional sources. Do you wanna share stories with this person? With this time period? Intentional Action – What actions align with your intentions? Reference your intentions from above. What actions support those? I believe the tarot transform. I’m most interested in awareness, exploring possibility and power. This influences how I interpret. I did a multi-deck spread recently during an amazing course on Tarot and Psychology. The spread concerned the past and present moment possibilities. 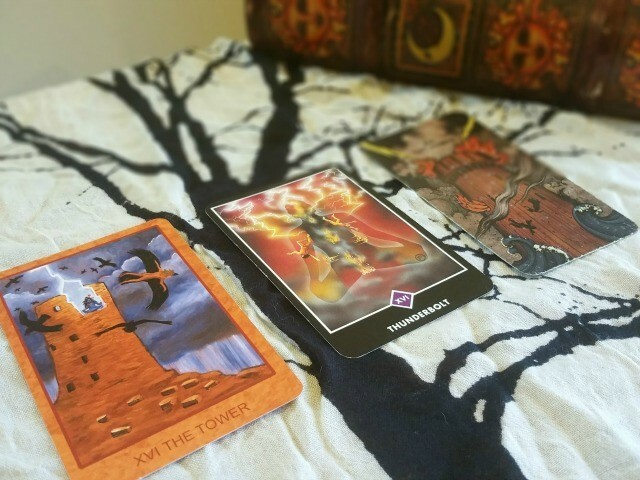 I ended up pulling multiple Tower cards face up – meaning I consciously chose them. On the surface these Towers seemed like trauma – something that happened that I passively received. Digging deeper the Towers were my reaction to traumatic events. They represented my decision to guard heavily against future trauma. This realization was incredibly empowering because it highlighted an ability to stop guarding now that it no longer serves. The Tower can pinpoint events where we feel exposed, from catastrophic to subtle, and invite us to be aware of our power to take action. Destruction need not be the end. The Tower seems to ask us what will you do with the ash that you have become? Becoming ash is no picnic. Not everyone is ready to handle or explore destruction. Even if you are curious about your capacity to expand, trust your gut on this. Beth wrote a lovely piece on holding your own container and removing cards as self-care. Even if you are ready to explore, give yourself space as you do and lots of recovery time. Andi wrote a piece on Magickally Letting Go and their methods apply here. Transformation can feel like a break up with yourself. Break ups can be rejuvenating releases or painful, grief-filled affairs. Love yourself by cultivating your safe haven with the same attention you cultivate your breakthroughs. Safe haven can be support from people who love you, spiritual craft or practice, naps, or therapy. For those of you who have some practice at letting go, surrender your idea of having arrived. So that if/when the Tower shows up again (and again and again) you will know how to let it keep teaching you. How do you respond to #difficultcards? ps: There’s a good chance I’ll geek out about the Tower at my blog this week (if I haven’t already). Follow me on Twitter to see when that post drops or follow, because I’m hosting a tarot Twitter chat – something that hasn’t happened in years – this evening at 7pm EST about creating sacred space. 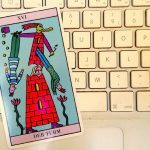 Subscribe to my newsletter for consciousness tools, tarot geekery & shenanigans. The new moon in Aquarius invites us to revision our world. The Tower and the Star give us a framework for personal and collective liberation. Mm, difficult cards. It’s easy to focus on the “Tower” cards because they’re so overtly unwelcome, but in my opinion, can’t any card be unwelcome? If we look at the Towers, Devils, and other sorts of cards as a painful rip of the band-aid, then even the kindest, happiest cards can be sugared poison. Certainly any card could be unwelcome, and I think this space is to (re)examine why some cards are *overtly* unwelcome. 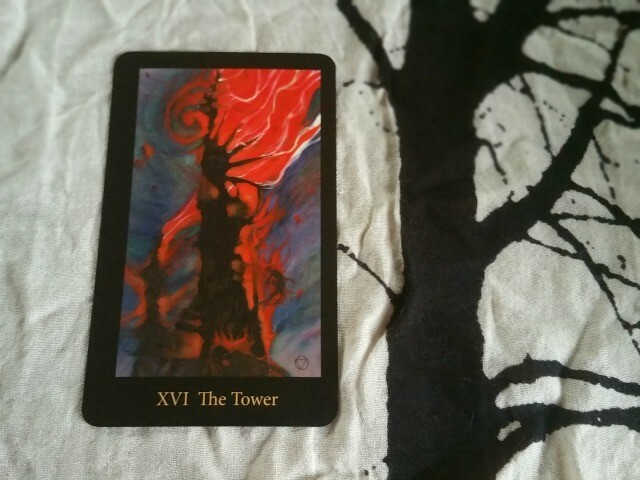 I know I mentioned The Fountain last post but it’s the only deck I own so 😉 – it’s Tower is really reassuring I feel – it says, “The Inessential Destroyed” which made me feel that of course I would keep the essentials and it felt like something I needed. Plus the image is beautiful and leaves you with part of the Tower which is clean and shining after the big topply top bit falls off. Thanks for sharing. I keep getting The Tower (reversed) lately which actually excites me. I need a shake up in my life and I want things to be different so I’m welcoming that energy. I can imagine it’s more scary for people who are currently happy and content with their lives as they currently stand. Thanks Siobhan for such an indepth look at The Tower. This is one of my favourite cards and you gave me some wonderful new perspectives. Loved your approach – really working with the card as an initiation. In agreement with context of card interpretation and also how our own elemental make-up allows the cards to sing a different song at different stages of growth. 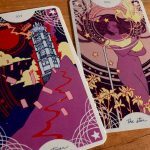 Great deck choices – and thank you for giving me yet another reason to finally purchase the Mary-El Tarot haha!!! this is extremely insightful and frankly helps me appreciate certain dimensions of this card which previously eluded me. This helps me go a bit deeper than just skim the surface during intepretation and reduces the fear factor quite a bit. Thank you so much.